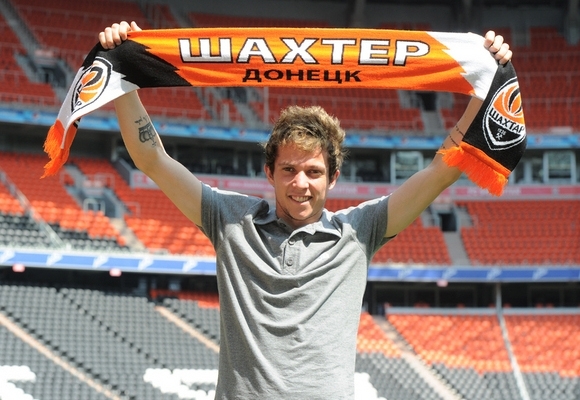 Shakhtar Donetsk midfielder Bernard linked up with the national team today but first spoke to ESPN about the current conflict going on in Ukraine and warned he would flee the country if the situation worsens. The Brazilian winger admits he is concerned with the ongoing protests and Terra, who quoted the former Atlético Mineiro player, said he is currently weighing up whether or not to return to Ukraine following international duty. Bernard said: “The demonstrations in the city centre, in front of city hall, have already begun. Bernard only moved to Shakhtar last summer following a triumphant Copa Libertadores campaign where he inspired Galo to success. The 21-year-old hasn’t regularly showed his ability in Ukraine and he did admit that he loves fulfilling his dream of playing for a major European team.